We have been getting many requests for a great recipe for Braised Lamb Shanks, below is an recipe for any busy kitchen. Pre-heat a couple of large fry pans. 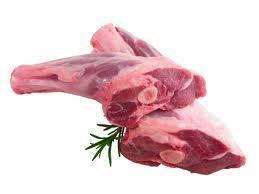 Place lamb shanks into a large bowl and evenly season with salt and pepper. Add olive to your pans and place lamb shanks into your fry pan, sear lamb shanks on all sides. Sear until lightly caramelized. Be sure not to overload the pan. Remove lamb shanks from your pans and place into a deep oven dish. Add chopped vegetables into your fry pan and sauté, add garlic tomato paste and flour. Reduce heat and stir for 4-5 minutes. Be sure to keep stirring and not burn the flour mixture. Place cooked vegetable mix over lamb shanks; add stock, bay leaves and rosemary sprigs. Cover the entire oven dish with foil and place into your pre-heated oven. Cook for 2 hours or until tender. Make sure meat isn’t falling off the bone. Remove and let cool. Enjoy with your favourite vegetable medley and mashed potato, topped off with the braising sauce and a sprinkle of Gremolata.